Seven Pitt Public Health alumni are recognized for their outstanding service to the field of public health. In the case of this year’s awardees, it’s remarkable that most are recent graduates, and yet they are already highly influential in their fields. Seven University of Pittsburgh Graduate School of Public Health alumni will be recognized for their outstanding service to the field of public health during a special ceremony today at the University Club. Eric Hulsey, Dr.P.H., M.A., Class of 2008, and Michael Walsh Jr., M.H.A., Class of 2004, will each receive the Distinguished Alumni Award for Practice in recognition of their extensive contributions to improving the application of research to public health practice. 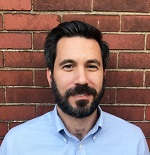 Hulsey is manager of behavioral health analytics at the Allegheny County Department of Human Services, where he is responsible for evaluating behavioral health services administered by the department and finding practical applications for research, among other responsibilities. Walsh is founder and principal of 25 Strategies, a consulting firm focused on creating impact strategy for foundations, health systems, nonprofit organizations, government agencies and social impact ventures that address public health challenges. He also is interim chief of strategy and programs for the University of Texas MD Anderson Cancer Center’s Cancer Prevention and Control Platform. Mary Ganguli, M.D., M.P.H., Class of 1981, will receive the Distinguished Alumni Award for Research in recognition of her work focusing on the epidemiology of late-life mental disorders, particularly the neurocognitive disorders, including Alzheimer’s disease. She is a professor of psychiatry and neurology at Pitt’s School of Medicine, and professor of epidemiology at Pitt Public Health. She is the principal investigator of several National Institute on Aging-funded population-based investigations of dementia and Alzheimer’s disease in western Pennsylvania and India. Tammy Haley, Ph.D., M.S.N., M.P.H., R.N., Class of 2013, will receive the Distinguished Alumni Award for Teaching and Dissemination in recognition of her work using research as a means to engage students, enhance her teaching, add to the body of knowledge in her field and provide service to the global community. She is director of nursing and radiological sciences, associate professor of nursing, and coordinator of the R.N.-B.S.N. Program in the Division of Biological and Health Sciences at Pitt-Bradford, where she has been a member of the nursing faculty since 2003. She teaches Physical Examination & Health Promotion and Community Health Nursing, in both the classroom and clinic. Annette Fetchko, M.P.H., Class of 1984, will receive the Margaret F. Gloninger Service Award for her significant service to her community. From 2010 until earlier this year, she served as administrator of the Catholic Charities Free Health Care Center in downtown Pittsburgh. Dubbed the “Miracle on Ninth Street,” the center provides free medical and dental care to income-eligible people who do not have health insurance. She participates in numerous fundraising events in her personal time and volunteers as a nurse at the center, having earned her R.N. degree in 2013. Laura B. Gieraltowski, Ph.D., M.P.H., Class of 2009, will receive the Early Career Excellence Award for her work leading teams of public health professionals in large, complex outbreak investigations of foodborne disease that often extend through multiple states and involve pathogens that are responsible for 48 million U.S. cases each year. 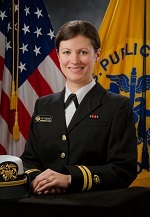 She is lieutenant commander with the Commissioned Corps of the U.S. Public Health Services, for which she is a senior research scientist officer at the Centers for Disease Control and Prevention National Center for Emerging and Infectious Zoonotic Diseases Division of Foodborne, Waterborne and Environmental Diseases Outbreak Response and Prevention Branch. Diane Howard, Ph.D., M.P.H., Class of 1979, will receive a Special Recognition of Service for her extensive work in educating and leading future public health professionals and for her service for many public health-centric organizations. 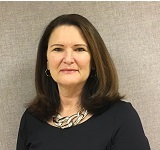 She is associate professor and director of student development in the Department of Health Systems Management at Rush University Medical Center, where she teaches courses in managed care, health care in America and professionalism. 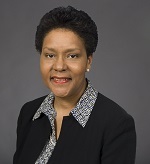 She is chair of the Board of Directors of the Association of University Programs in Health Administration and a board member-at-large of the National Association of Health Services Executives Chicago Midwest chapter. Four alumni—Nancy W. Glynn, Ph.D., Class of 1994; Leah M. Lamonte, M.S., Class of 2006; Natalie A. Solomon-Brimage, M.P.H., Class of 2006; and Christopher A. Taylor, Ph.D., Class of 2010—will be inducted into Delta Omega, an honorary society that recognizes merit and encourages further excellence in, and devotion to, public health work. 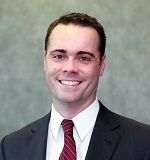 Michael Walsh, Jr., M.H.A. Mary Ganguli, M.D., M.P.H. Tammy Haley, Ph.D., M.S.N., M.P.H., R.N. Annette Fetchko, M.P.H. Laura Gieraltowski, Ph.D., M.P.H. 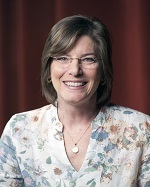 Diane Howard, Ph.D., M.P.H.